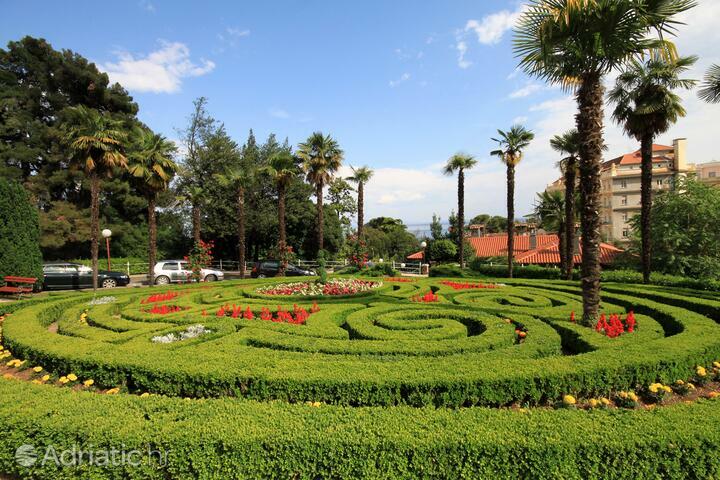 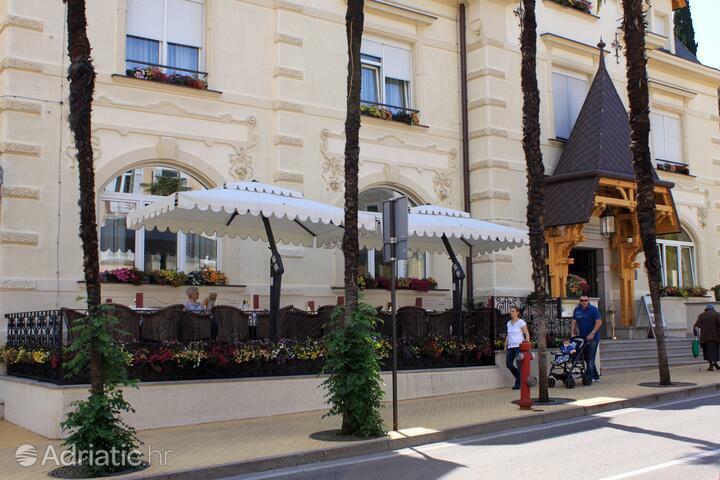 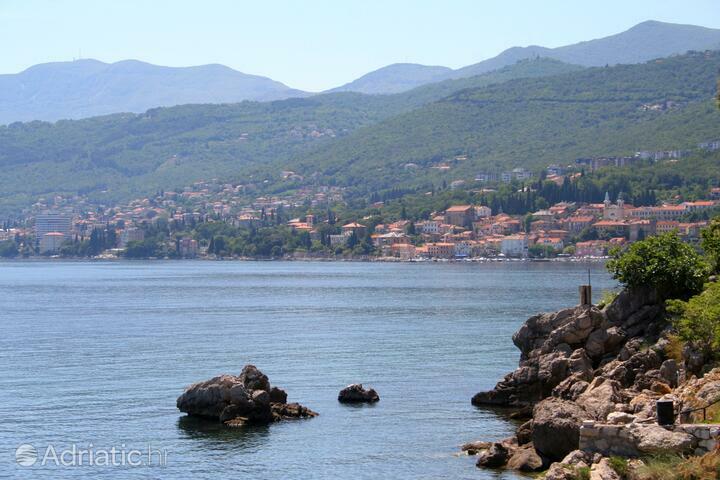 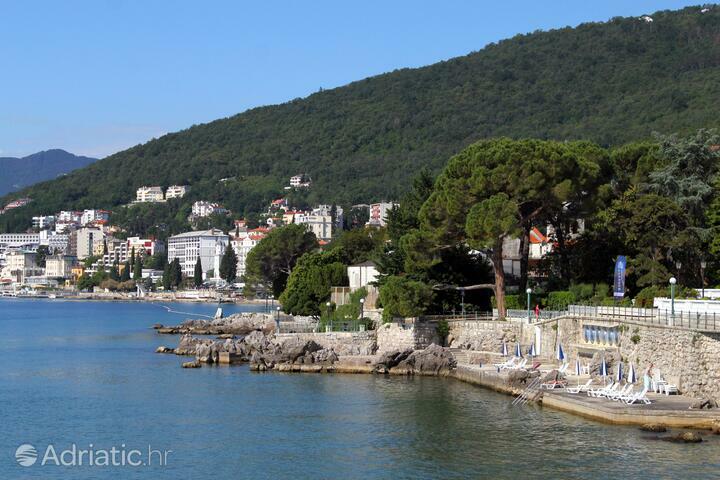 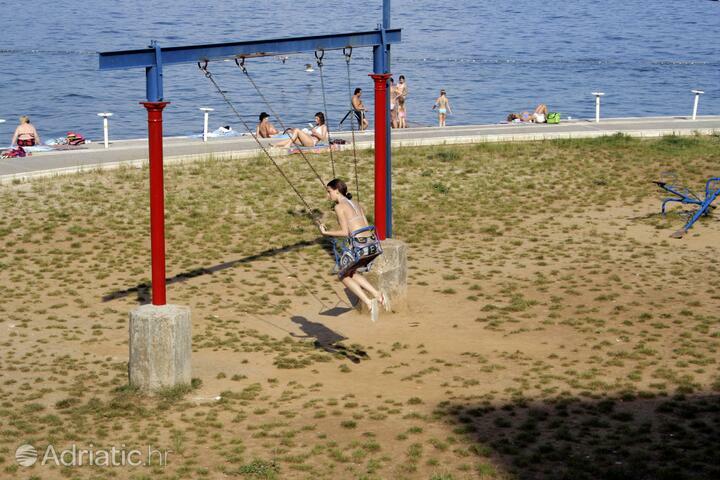 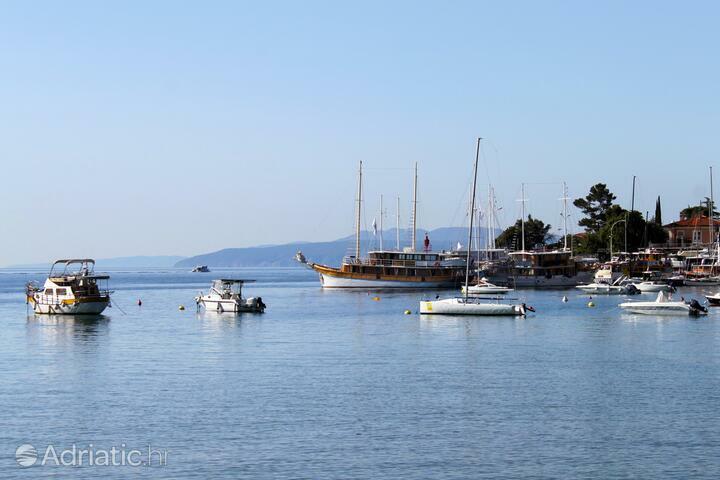 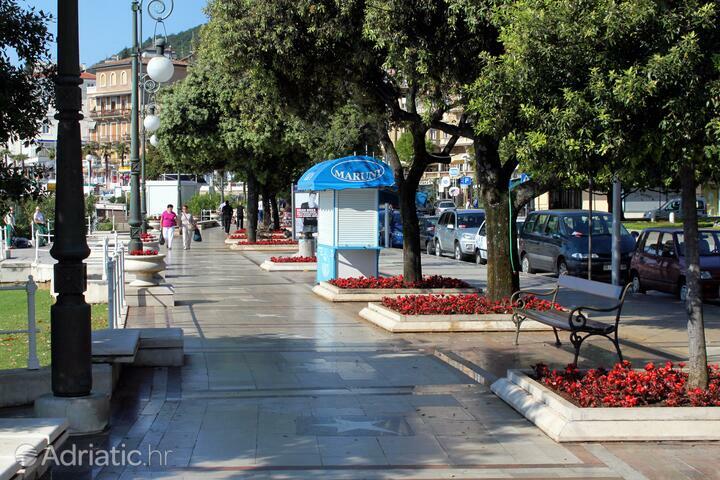 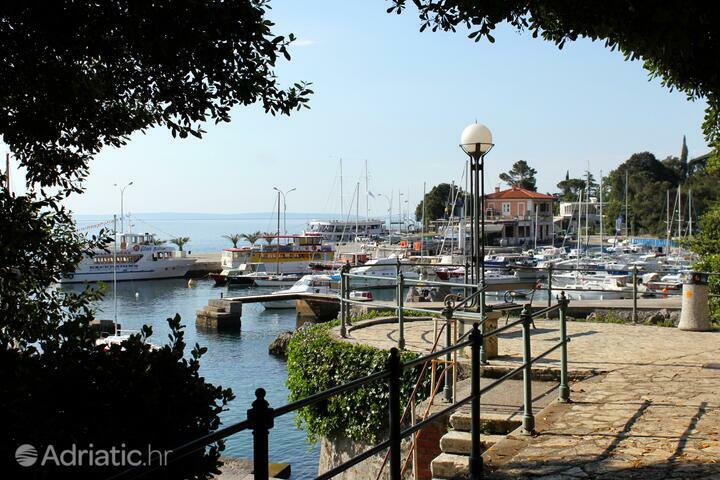 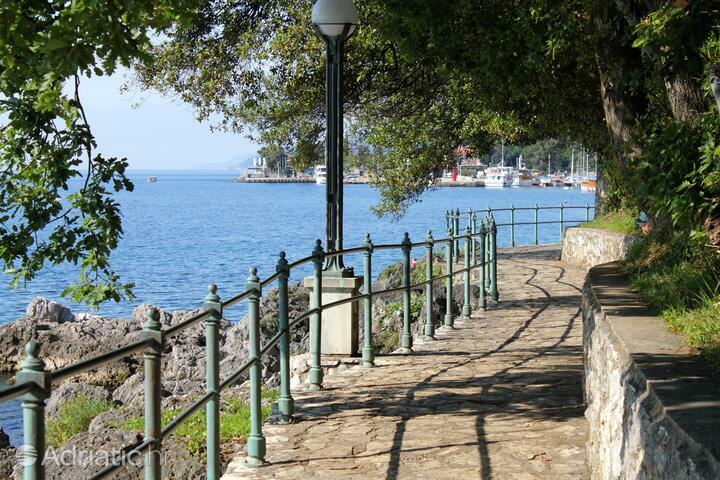 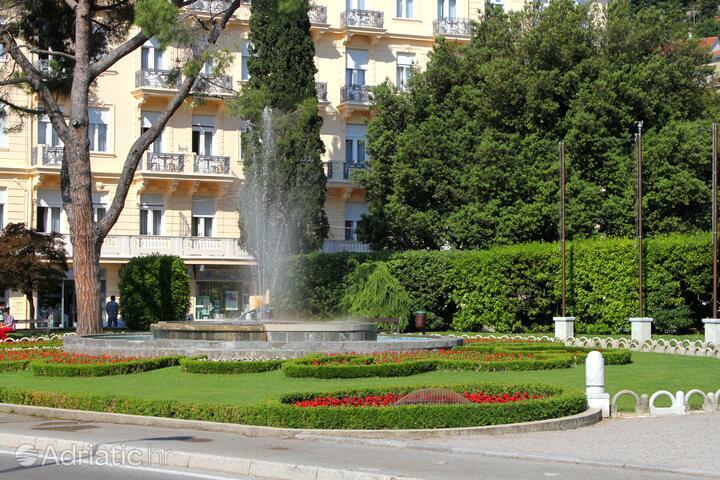 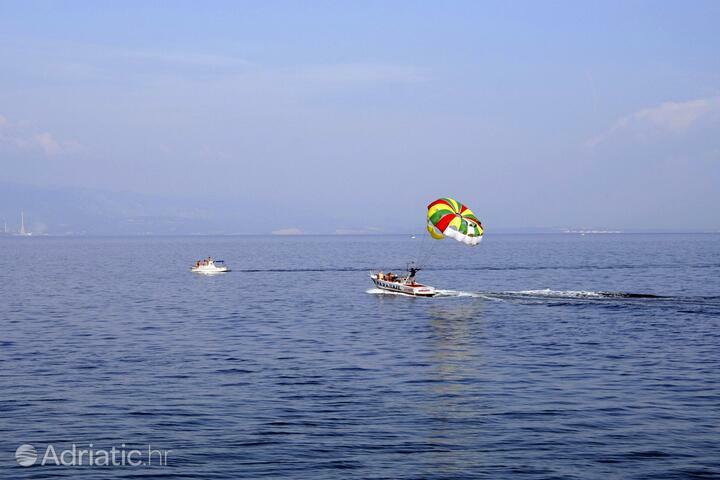 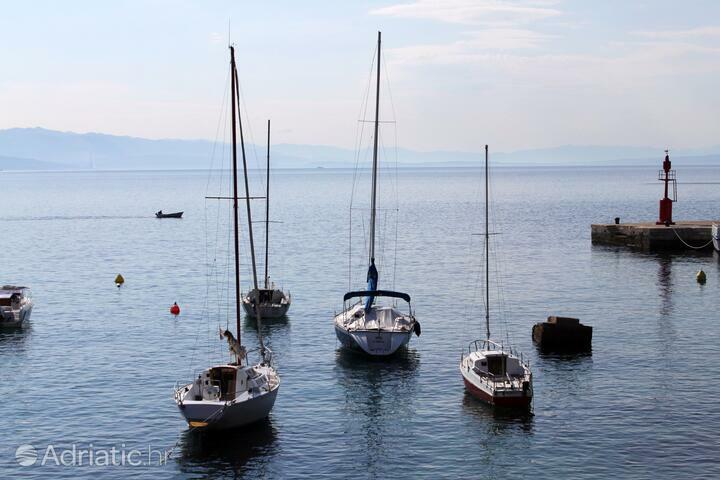 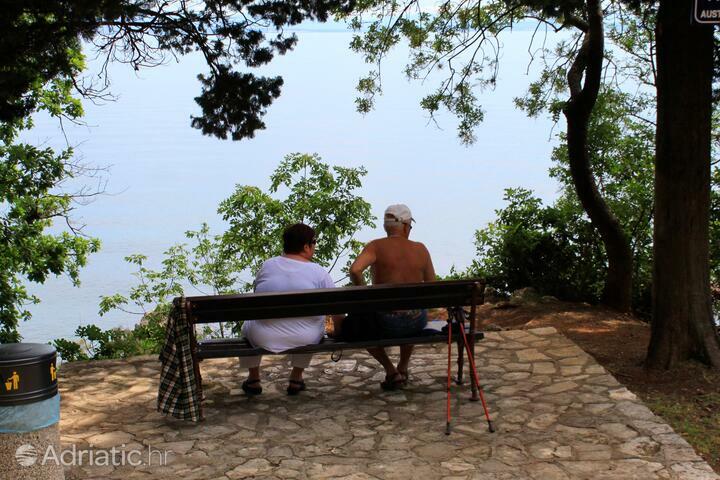 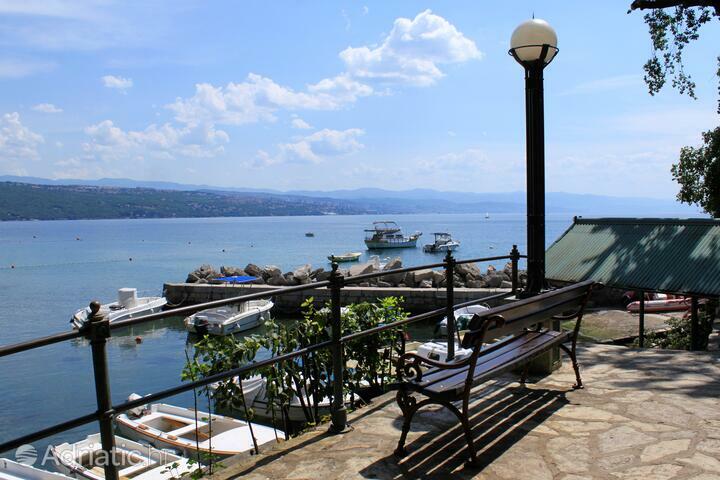 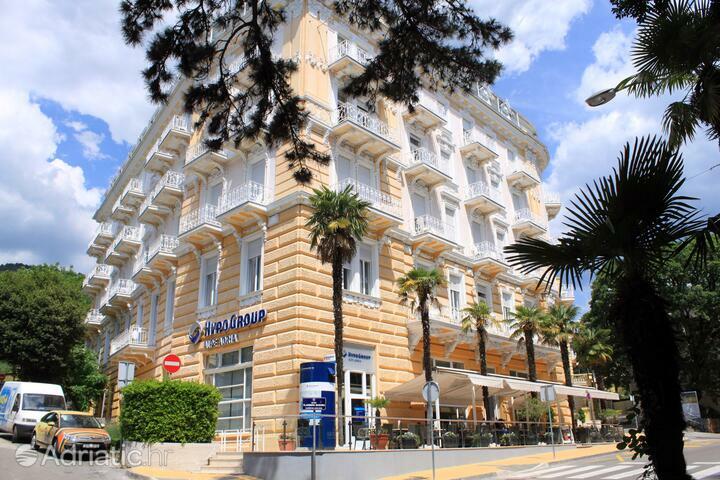 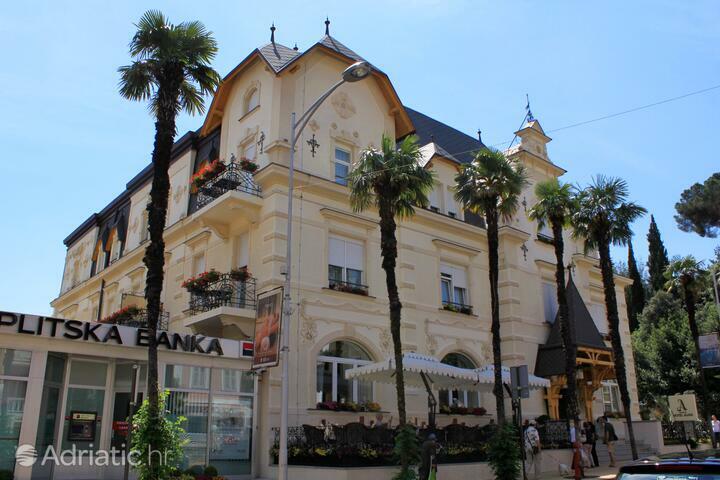 Opatija has made a mark on Croatian tourism as early as the year 1884, when the country's first hotel was built here. 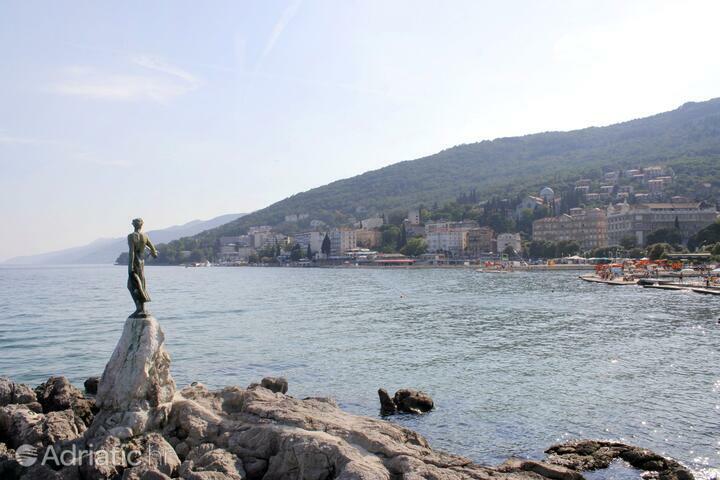 Visitors still flock to this pioneer of Adriatic holidaymaking, the city whose symbol - the Girl with seagull statue - awaits them on the rocks beside the popular Lungomare walkway. 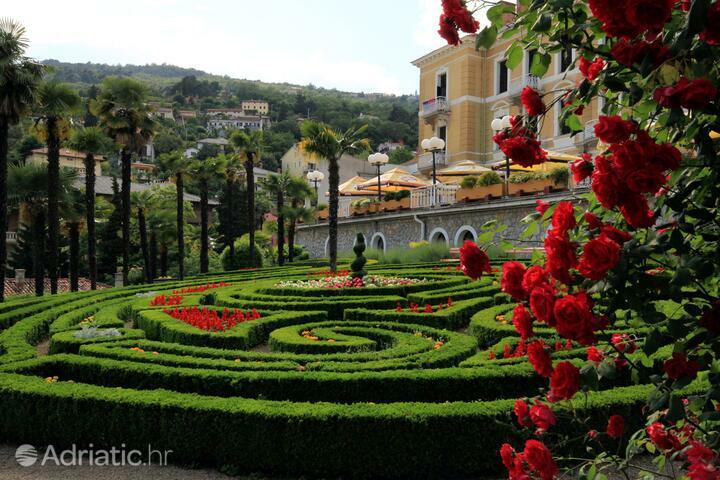 Opatija spices up its recognizable charm of old Austrian architecture with events recalling the imperial court of Vienna, while the salt scents of summer nights by the sea here receive an audible scenery of world-class jazz. 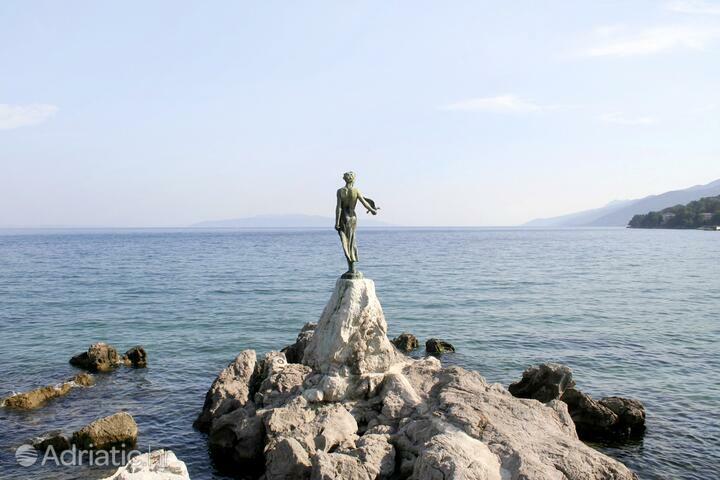 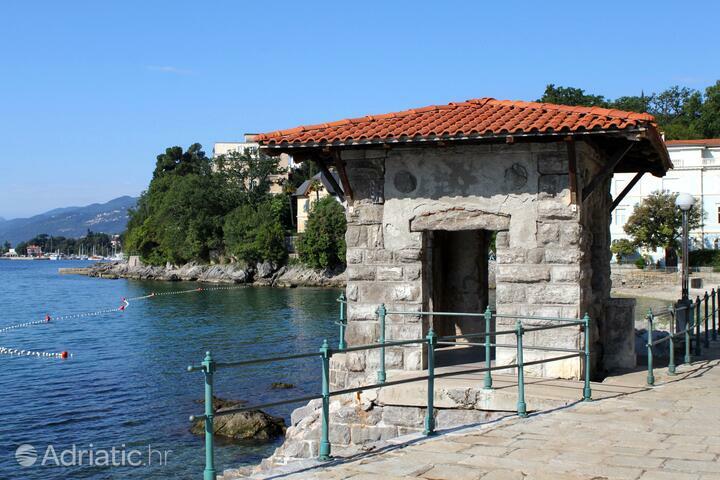 The tale of Opatija's history begins with its name. 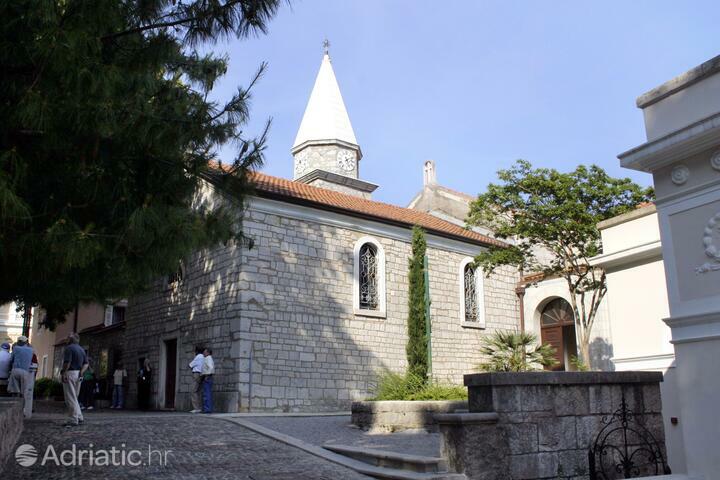 According to tradition, it comes from the Abbey (=opatija) of Saint James, which was built during the fifteenth century, along with its church. 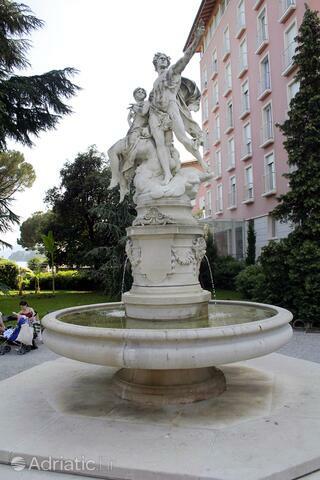 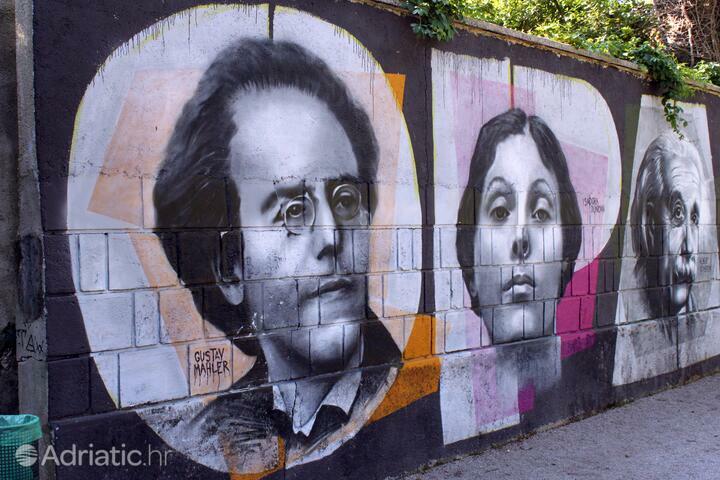 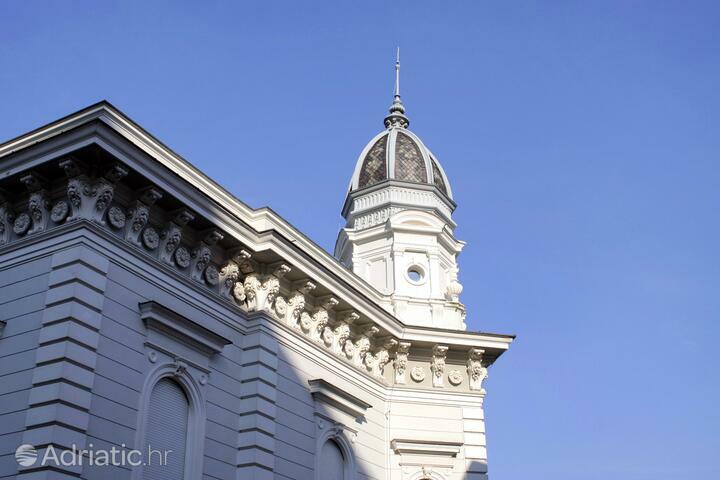 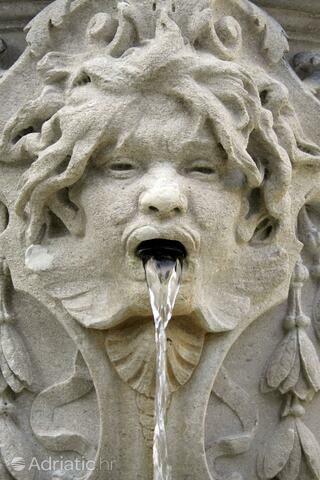 Several centuries later, the Austrian regime left their mark on the city and gave it much of its current visage. 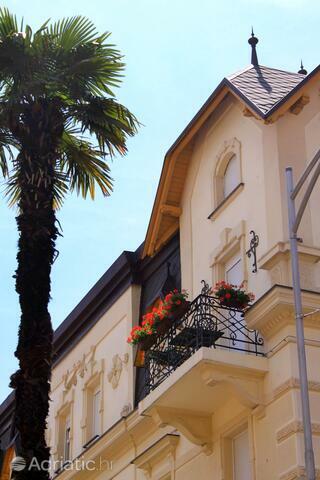 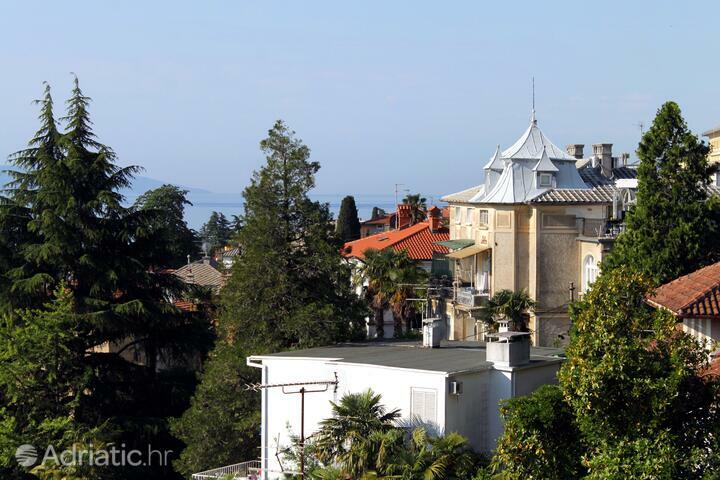 Villa Angiolina, built in 1844, housed the very first tourists won over by Opatija. 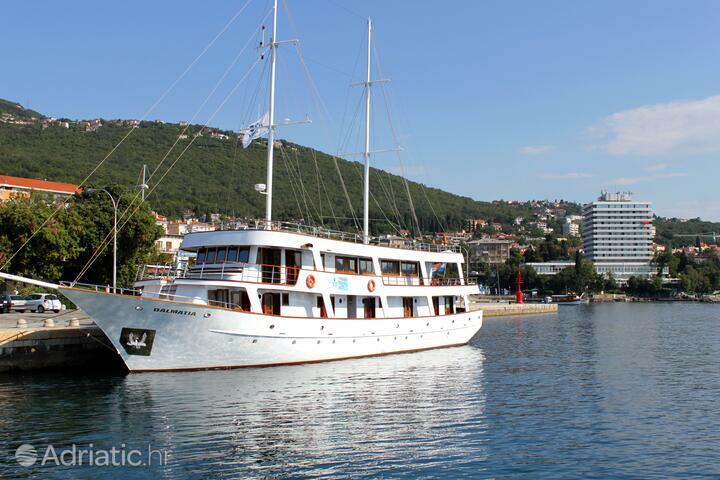 Today it houses, not inappropriately, the Museum of Croatian tourism. 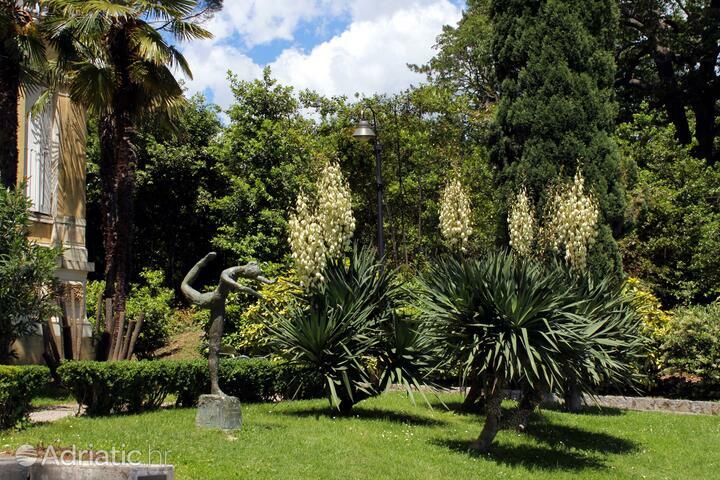 Angiolina and the aforementioned St. James' church, which abuts it, are surrounded by impressive parks where more than 150 unusual plant species are found. 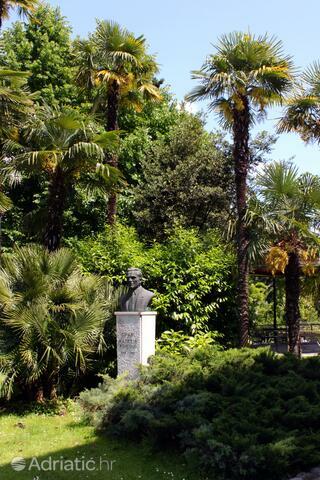 Some of these were brought from the far sides of the world. 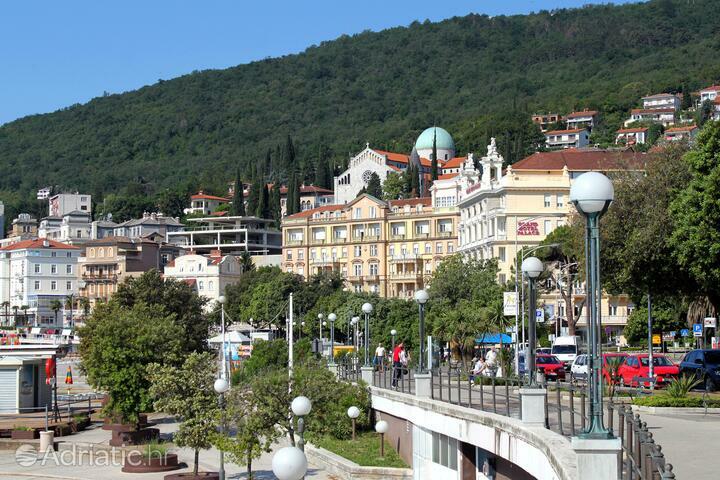 The green dome of the Church of Mary's Annunciation, watches over a Croatian celebrity boulevard, where marble stars bear the names of important Croats. 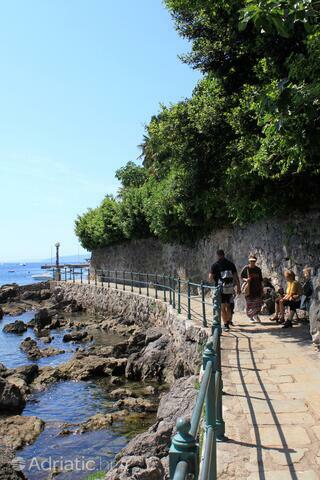 The waves' relaxing music awaits the visitors on the twelve-kilometer walkway Lungomare, which connects Opatija town to the other towns on its riviera. 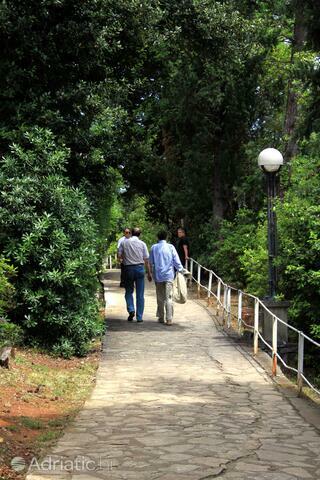 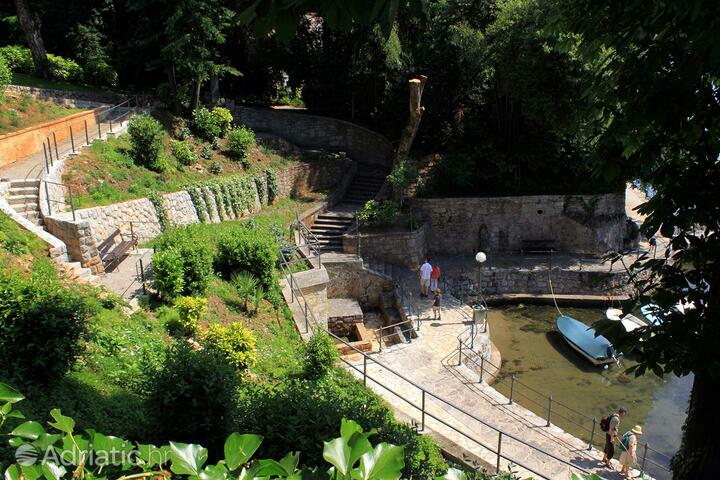 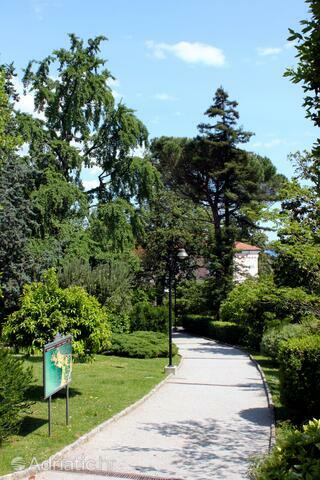 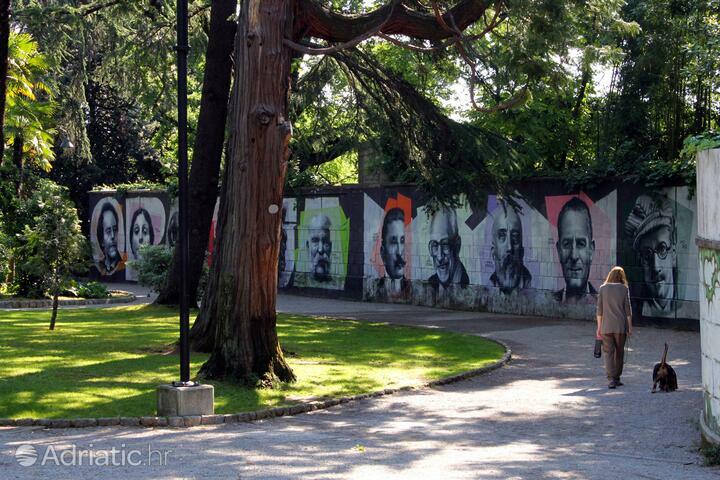 There is also the wooded walkway of Carmen Sylva, paid for by the Romanian royal couple after they got lost in the woods near Opatija in the year 1896. 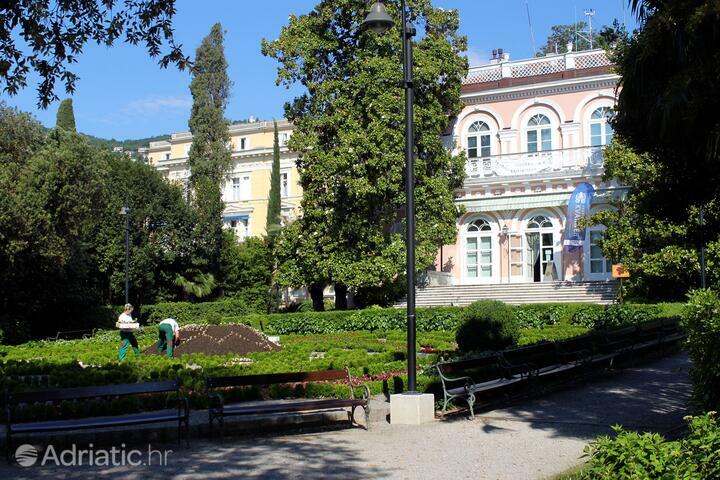 For the duration of the Kaisernacht festival, all of Opatija turns into an Austrian imperial stage. 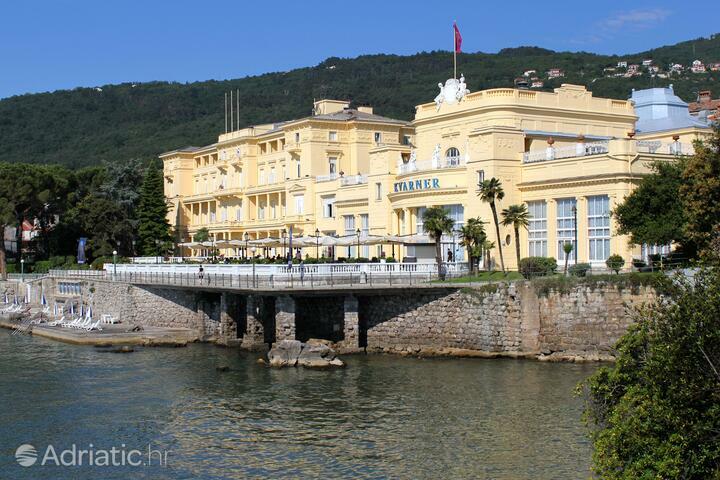 Visitors can then go for a ride in the old-timer taxis or dance the waltz just as in Vienna. 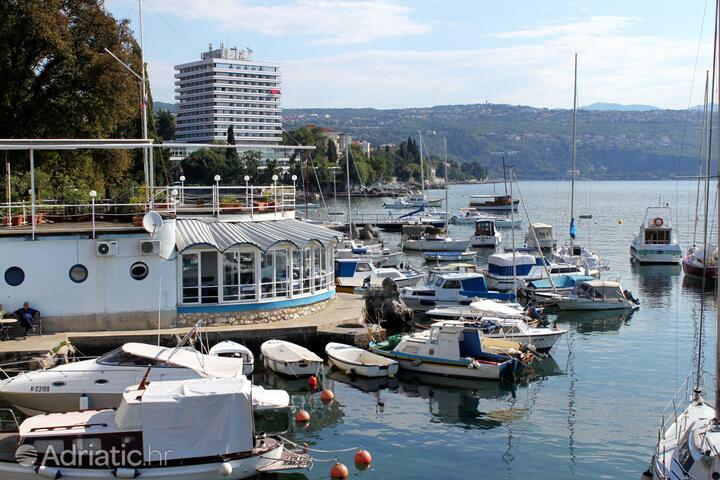 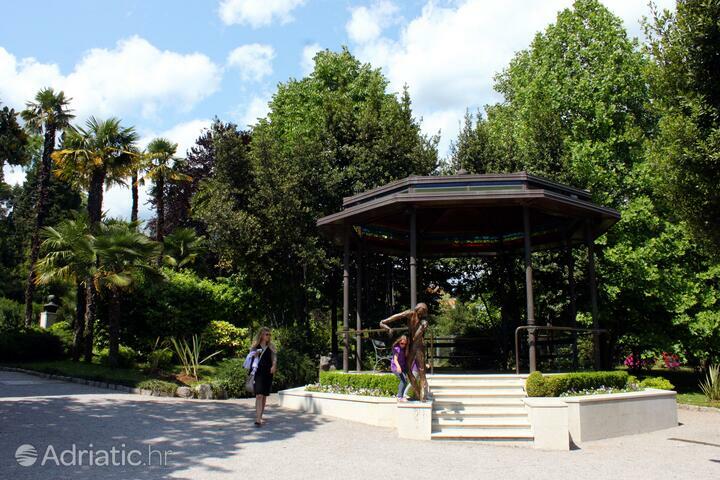 Opatija hosts the prestigious Liburnia Jazz, the largest such festival in Croatia, during which music is played on outdoor stages as varied as town squares, parks and the decks of boats. 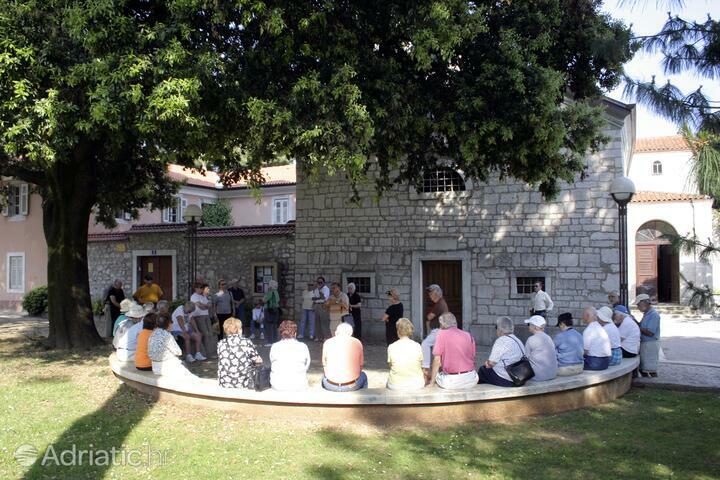 The lively summer scene is completed by the sounds of Croatian a capella folk singing, which is uniquely combined with the sounds of string instruments, such as guitars and mandolins.